The official website of film production company Legendary Pictures has recently been updated to reflect a Diablo movie entering development alongside the previously announced World of Warcraft film. As far as game-to-film adaptations go, Blizzard's demonic role-player probably represents one of the better properties to mine, certainly ranking above The Sims and Dead or Alive. Examining the group's lineup of completed films, which includes Batman Begins and 300, vaguely instills some confidence in this adaptation, but we think you'll find the hands of movie executives usually have a way of wringing that out of you. No other information about the Diablo film has been disclosed, though it seems a fair guess that it'll have the eponymous villain attempting to wreck the world, only to be foiled by a floating arrow constantly jabbing at his head. Blizzard was unavailable for comment at the time of writing -- presumably off shoving large jewels into their skulls. It should be about the wanderer. Beware! Beyond lies mortal danger for the likes of you! 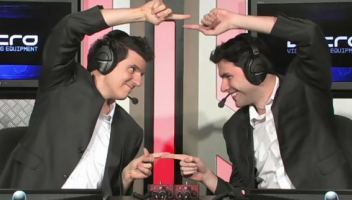 And still no Starcraft flick. Those assholes. 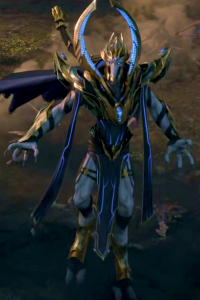 "I am not the Archangel Tyrael...." "Baal! noooo!" 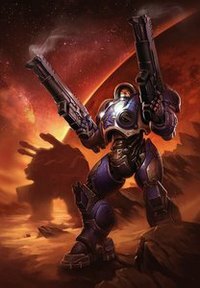 I'm pretty sure they want to make another game before they make StarCraft 2 a great franchise movie. And one thing everyone keeps thinking Vin Diesel should be i the movie? Whyy? They better have Duriel killing hundreds of would-be Act2 rushers. I wonder if they'll make it the game a movie, or book... hmm. "Not even death can save you from me!" Diablo's storyline is great and would fit perfect into a movie. I hope they kinda do the whole diablo 2 storyline as the movie, with the ending of 1 kinda being the backstory that is told in the beginning.